Remembering U: Whatever Happened To HTC 2017 Phones? 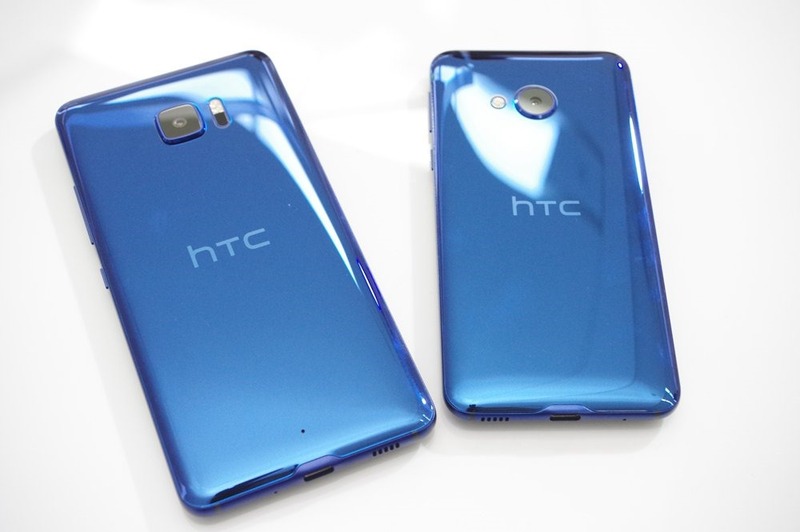 With all the to-do about the HTC U11, most people had forgotten about the first 2 releases from HTC this year, the U Ultra and the U Play. Do the devices that many wrote off as a mistake, or experiment, or even just a waste of space deserve a second look by consumers today? As the Ultra and Play reach their 6 month age, their specs have been out done by a few, their hardware is a bit more dated, but do they possibly deserve a place in your pocket today more so than they did 6 months ago? Here’s a few reasons why they might. 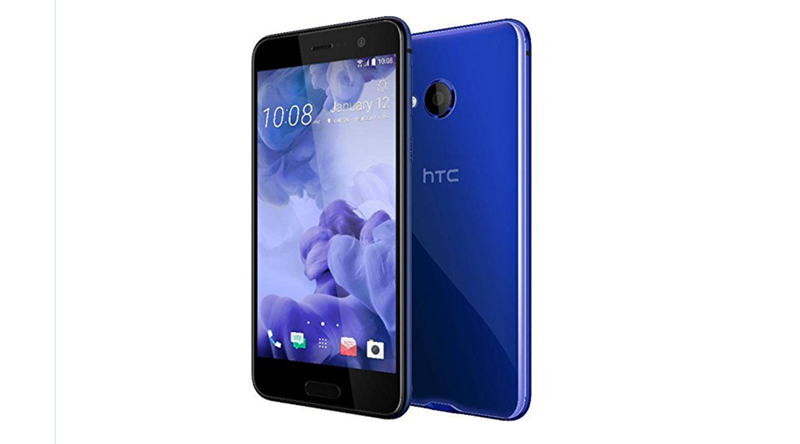 The HTC U Play slipped into the world market with a lower end MediaTek P10 processor, a 4/64 memory configuration, a 5.2” FHD display and few other nice features in tow. Unfortunately, it also carried a pretty hefty price tag for what was considered a midrange handset when it arrived on the scene. Unfortunately, the lack of US availability and some massive confusion over the direction that HTC took hampered the sales of the U Play to the point of almost being a non-factor. The +$500 price point also did not work well in a midrange device when you had devices like the Moto G5+ at the $230. That was 6 months ago, and today, that international unlocked U Play will set you back closer to $350 instead of $500. The U Play’s price has plummeted down to as low as $329 for the 4/64 version in Sapphire Blue on third party sites. This is nearly half the cost of it’s newer brother, the U11. What isn’t told in that price is how amazingly good this phone is. The U Play from third party sellers, like you will find on Amazon or virtually anyone selling them in the US, will work on T-Mobile and AT&T, or their MVNO’s in the US. You may miss out on features, like Wi-Fi calling, HD Voice, and even something as simple as visual voicemail without having a branded handset, but for most, this is a minor inconvenience. That said, with the combination of features that it has, the U Play is definitely worth a strong look if you are shopping near the $300 price point. Between the extremely strong camera, the incredible looks and the performance level of the device, the U Play is really a very solid choice for those on a GSM carrier. For those on Sprint or Verizon, you will need to look elsewhere, the U Play is not compatible with those networks at this time. This brings us to the biggest release from HTC in quite some time, and we mean literally the biggest – the HTC U Ultra. The U Ultra was one of my favorite devices from the first second I laid my hands on it. That huge body, gorgeous display, that little annoying ticker at the top that just seemed pointless… It was amazing. I was invited to check out the U Ultra at a special pre-launch event and I was ready to turn in my device right then and there to get one. It was fluid, it shot amazing low-light images and the liquid surface colors were dazzling to say the least. I have to honestly admit to not caring what processor was in it, what battery size it had or which color I was going to get, I just wanted it now. The 4/64 version was priced at a whopping $750, but again, for this kind of beauty and power, $30 a month on my bill didn’t seem too bad… Until the words, not available through any carriers emerged. Shortly after that, some of the slighted bloggers began their rants about how can you charge that much for a device with last year’s specs (keep in mind, the Snapdragon 820 was the fastest processor available at the time and 4/64 was above the industry standard 4/32 configurations as well). But that was 6 months ago, and now the U Ultra has been swept under the rug like a bit of dust that the broom couldn’t get in the dustpan. 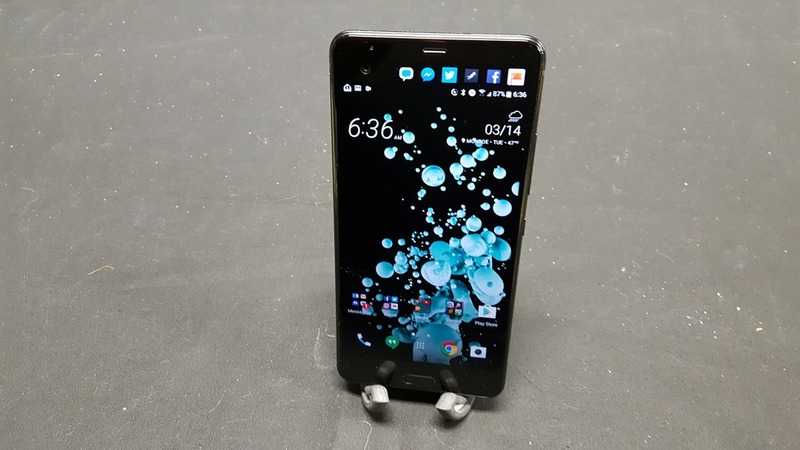 Instead of being a crown jewel in the HTC stables, the U Ultra is dismissed by many as a mistake that didn’t need to happen. Instead, I choose to celebrate the U Ultra for what it is, HTC’s first real phablet design in years. Yes, they have released a few larger sized phones in the last few years, but their last true phablet was the HTC One MAX about 4 years ago. The U Ultra shines in its role as the new flagship phablet, with snappy performance, high end cameras, stunning audio quality and a user experience that is second to none. The one gripe, if you can call it that, is the $700 price tag from HTC. Of course if you are out to save a buck, you can grab the international version online for about $100 less, but then you lose out on your Uh-Oh Protection and that all important carrier compatibility in the US. The question remains, at $700 for a device, or just under $30 a month with PayPal credit, is the U Ultra the right device for you? From day one, my answer to this question has been the same. What are you looking for in your device. Between the second screen and the amazing camera, the U Ultra had me sold, but I’m also one that does quite a bit of desktop style work on my phones, so that extra .25-.5” of screen real estate is very valuable to me. The U Ultra is also more than capable of shooting some of the best photos I’ve ever had the pleasure of taking, so that is the second huge box for me. The U Ultra has basically replaced my laptop, tablet and phone all in one device. carry a small sleeve with me that contains a Bluetooth keyboard, a USB-C OTG adapter, a few USB sticks and a stand. 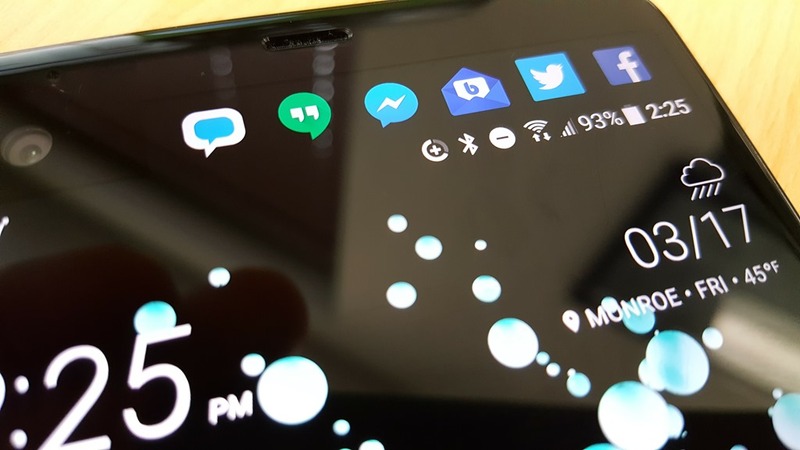 I run the U Ultra on FreedomPop, which makes the deal even better, as I get a free connection through that for voice, text and data. 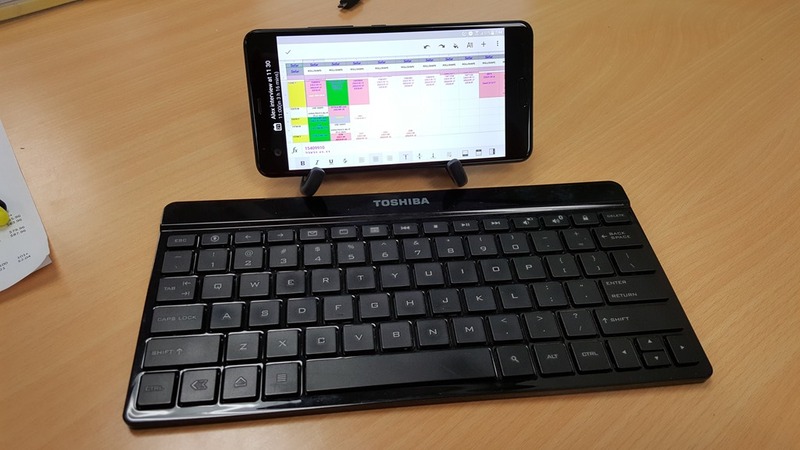 When I use the U Ultra in combination with Google Voice and Wi-Fi connections, I’m running my mobile marketing office from just about anywhere without any limitations. So is the HTC U Play or HTC U Ultra the right device for you? I would tend to say if you are looking for something solid in the $300-350 range, you can do much worse than the U Play. Of course, there are some devices that rival it for the price or possibly some that may deliver a similar experience for a bit less, but the U Play should be on that list to check out. As far as raw power goes in a device, sure the U11 packs some new features that are stunning, but the U Ultra has a few tricks up it’s sleeve that it’s newer brother does not. The secondary display really enhances battery life far beyond what a 3000 mAh battery should have. Overall, I have a hard time not recommending the device I use for my mobile office on a daily basis, and that says quite a bit about the ability of the U Ultra to hang with the other big boys. While I can’t say that the U Ultra will check all the boxes you need, I can say that it offers an amazing ability multi-task, a very strong primary camera, a beautiful screen for enjoying media and the absolute best selfie camera that I have ever had the pleasure of shooting with. You can decide for yourself by taking the HTC U Ultra for a test drive. Just order one up and if you aren’t happy after a week or so using it, just return it for a full refund. You can get your HTC U Ultra by hitting the link below. Order your HTC U Ultra and save $100! Next Post When The Best Phone In The World Gets Better!